New Delhi, March 23: Noted actor and dancer Sapna Chaudhary on Saturday officially joined the Congress party. Her political entry comes days ahead of the upcoming Lok Sabha elections 2019. Speculations are rife that the grand old party may field her from Mathura, where the sitting MP and BJP candidate is Hema Malini, a Bollywood veteran. Congress insiders claim that the party, considering the Jat vote base in western Uttar Pradesh, is in favour of fielding Chaudhary from the region. Reports said that senior leaders have asked the high command to approve her candidature bid from Mathura, where the BJP's Hema Malini had gained an upper hand over top RLD leader Jayant Chaudhary. From Mimi Chakraborty to Nusrat Jahan, Full List of Glamorous Movie Stars Given Tickets By TMC in West Bengal. TV reports on Friday, citing top Congress sources, said the party has almost finalised the decision to field Sapna from the seat of Mathura. Former AAP leader Kumar Vishwas reacted to the news on Twitter. In a lighter vein, he said, "All voters are welcomed into this golden age of Indian democracy". 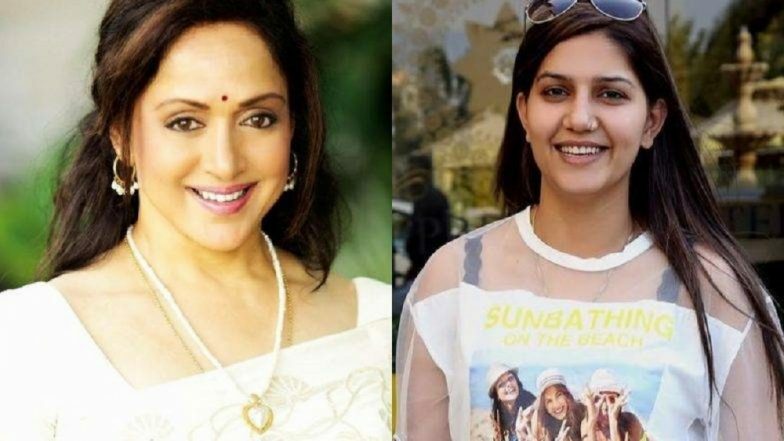 Apart Chaudhary and Malini, other celebrities who have entered the polling fray include Mimi Chakraborty, Nusrat Jahan, Shatabdi Roy, Moon Moon Sen and Deepak Adhikari -- five prominent stars of the Tollywood. They have been fielded by the Trinamool Congress (TMC) in West Bengal.